Container shipping remains one of the most important ways of transporting goods across the globe. Here are the 7 biggest trading ports in the world that each year handle millions of containers carrying goods to far-flung places. They are ranked by TEUs the industry standard used to measure containers. One unit is about the volume of a 20ft-long container. All but two are in China. 2013 saw 15.52 million TEUs go through this seaport on the Yellow River, compared to 14.5 million the year before. It is the world’s largest port for iron ore.
Ningbo Port was established in 738 during the Tang Dynasty and since it merged with the neighbouring port of Zhoushan in 2006, capacity has ballooned. In 2013, the combined TEU volume of the two ports was 17.33 million. On the southeastern tip of the Korean peninsula, the port is based in South Korea’s largest industrial area and in 2013 it handled 17.69 million TEUs. It is spread over an area of 840,000m² and can deal with 169 vessels simultaneously. Hong Kong is an economic gateway to mainland China and the port used to be China’s biggest, however, container traffic is dwindling as ships head north to the mainland. In 2013, the deepwater seaport handled 22.35 million TEUs, compared to 23.12 million in 2012 and 24.38 million in 2011. Shenzhen is the second largest Chinese port and one of the most important for the country’s international trade. 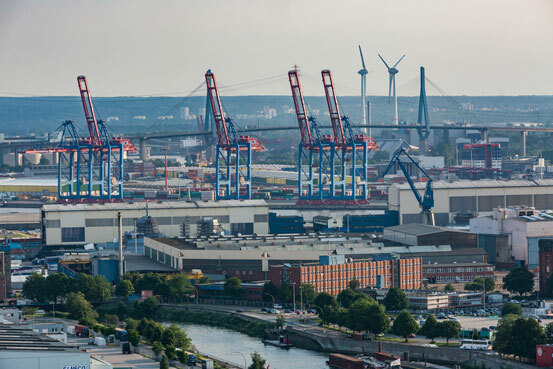 This fast-growing port handled 23.28 million TEUs in 2013, up from 22.94 million in 2012. It is home to dozens of shipping companies with container routes around the globe. This was the world’s busiest port in terms of total shipping tonnage until 2010. It remains a giant in the world of container traffic with a staggering 140,000 vessels dropping anchor on average every year. In 2013 the port recorded 32.63 million TEUs compared with 31.65 million in 2012. A Goliath among ports, Shanghai has helped China become the world’s largest trading nation. It set a historic record in 2014 by handling 35.28 million TEUs. Stretching as far as the eye can see, this maritime city covers an area of 3.94 square kilometres – the equivalent of 470 football pitches. This entry was posted in Marine and tagged busiest ports, busy ports, worlds busiest ports, worlds busy ports. Bookmark the permalink.